Basil likes to be watered regularly. 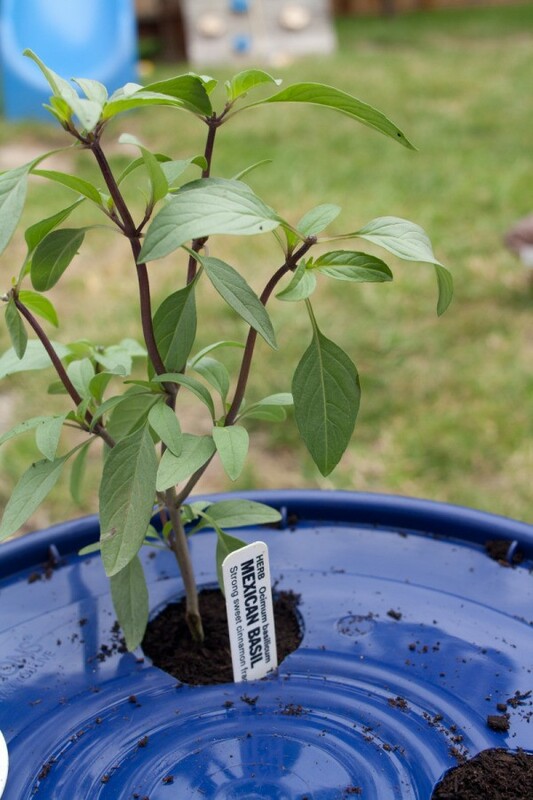 Make this a little easier by planting in a self watering container. Making a self watering basil planter is easy and will keep your basil heathy and ready for any recipe. This self watering container can be used for many different types of plants but is really great for basil. I used new buckets that I found for cheap on sale, but you could easily use recycled food grade buckets. Restaurants often have old buckets that you can ask to have, especially if they use a lot of soy sauce! 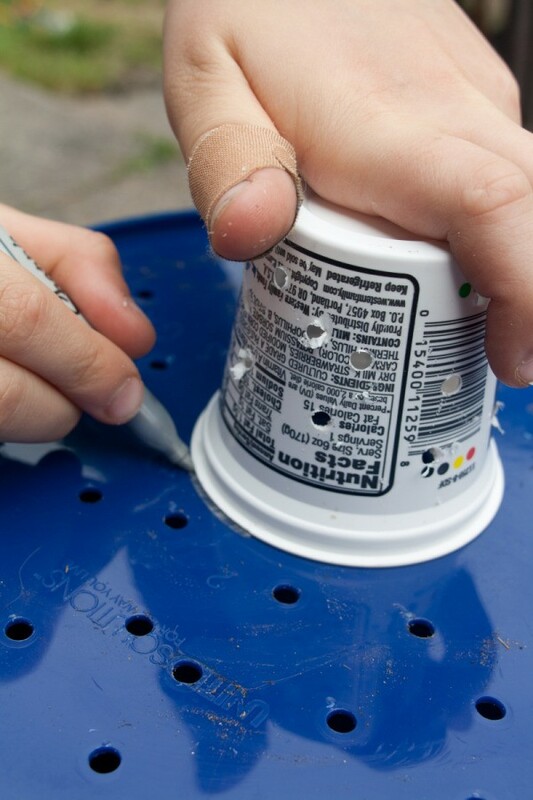 Start by drilling holes in the bottom of one of the 5 gallon buckets. 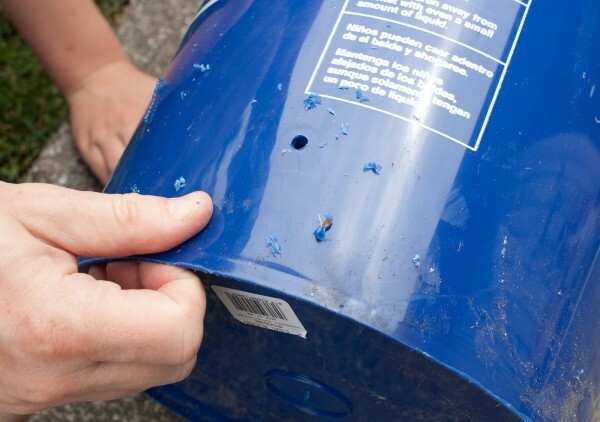 Next, mark the size of smaller container on the bottom of the bucket. Cut a hole in the bottom of the bucket just slightly smaller than the marked area. 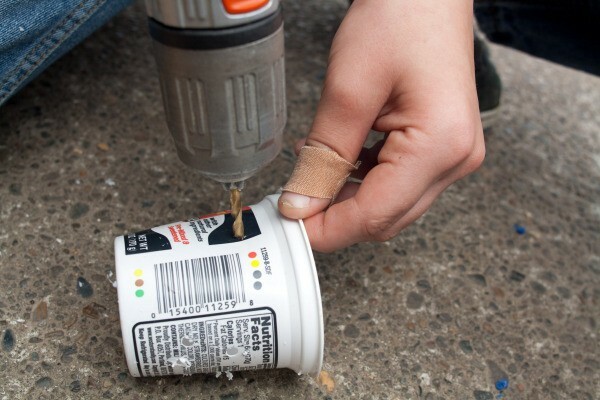 Drill holes in side of your smaller container but leave the bottom intact. 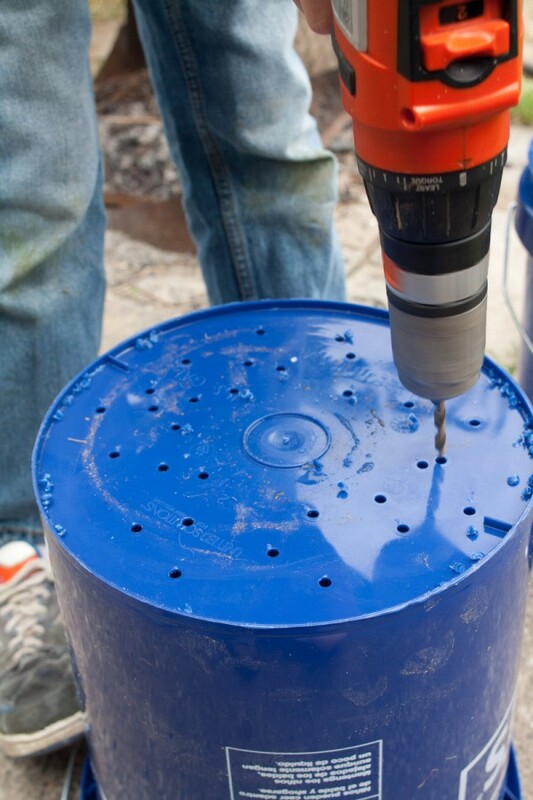 Fit the smaller container into the bottom of the bucket in the hole you drilled. This will be the chamber that wicks water into the planter. 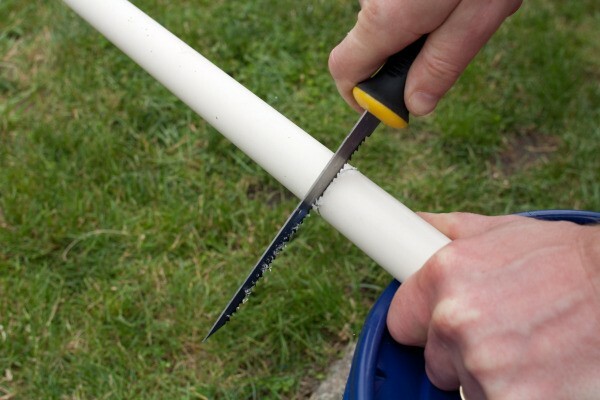 Now cut one end of the PVC pipe at an angle. This will allow the water to run freely into the reservoir and not get caught in the pipe. 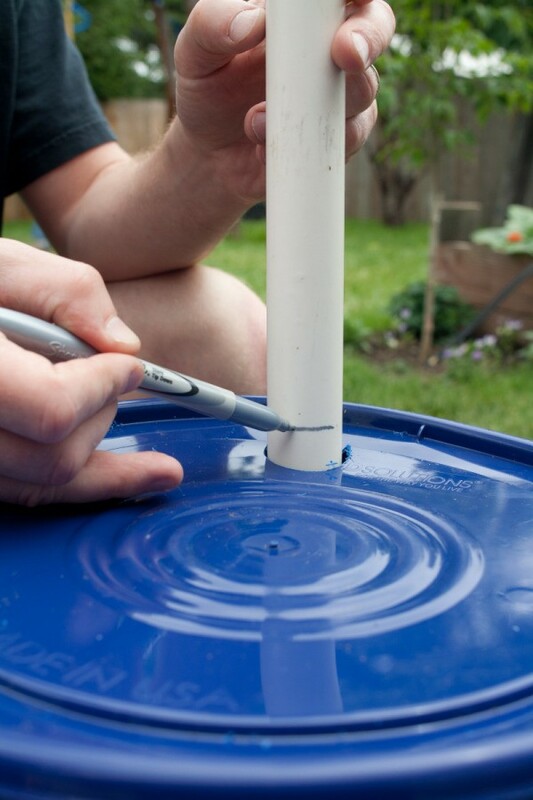 Drill a 1/2 inch hole in the side area of the bottom of the bucket to fit the PVC pipe through. 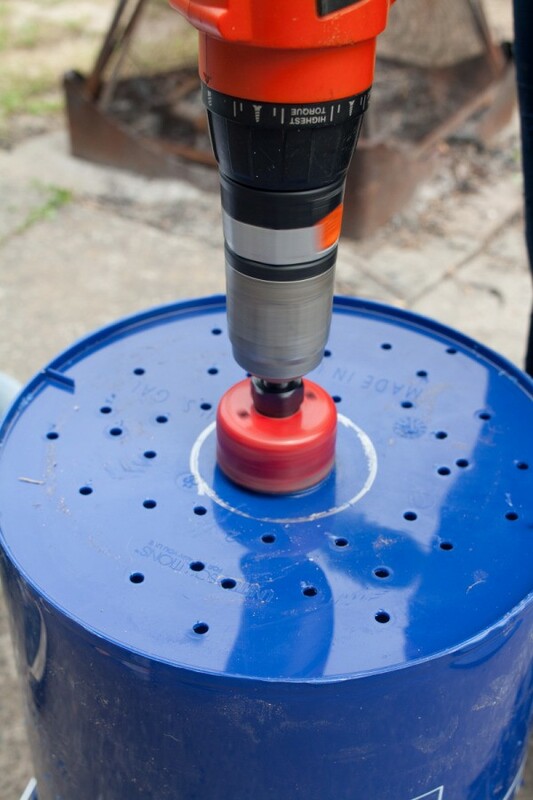 Drill another 1/2 inch hole in the lid so that it aligns with the hole in the bottom. It doesn't matter where you put the pipe, just make sure it is off to the side and the holes line up. Fit the lid on the bucket and cut off the pipe so it sticks up just a bit. 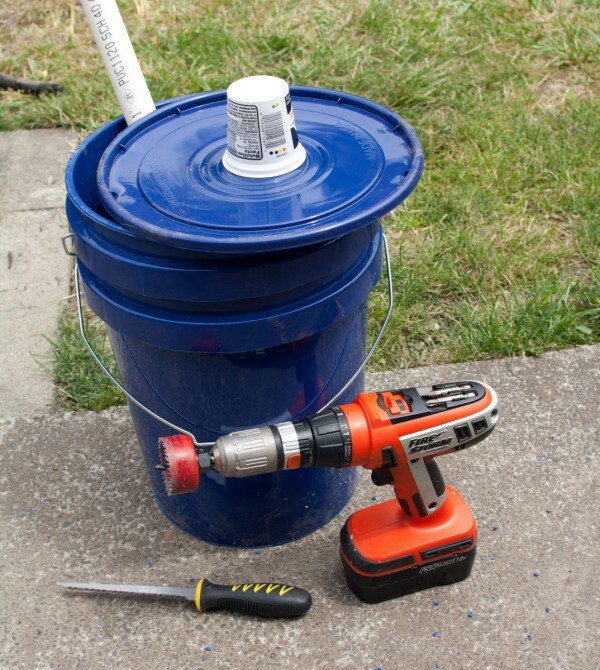 Drill a hole in the second bucket just below where the first bucket ends when they are nested together. 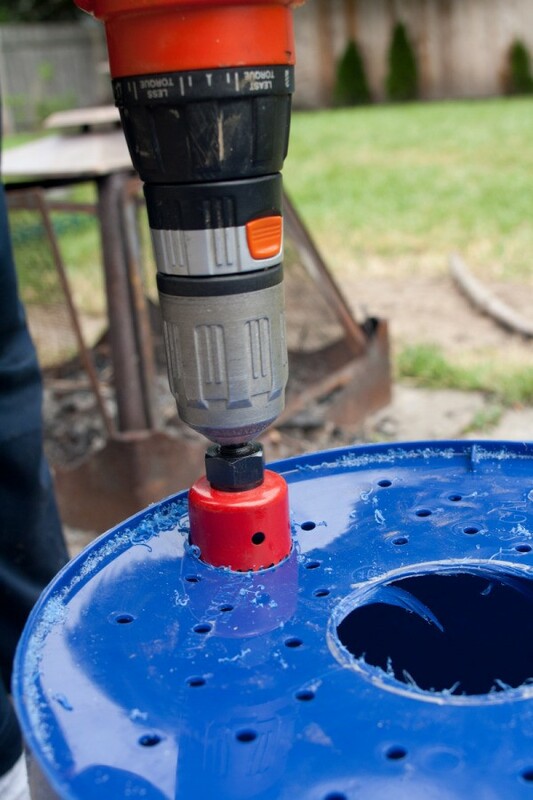 This is the only hole to drill in the second bucket. It will allow an overflow for the reservoir. Drill 3 large holes in the lid for your basil. Nest the first buck inside the second one and put the PVC pipe in place, with the angled side down. 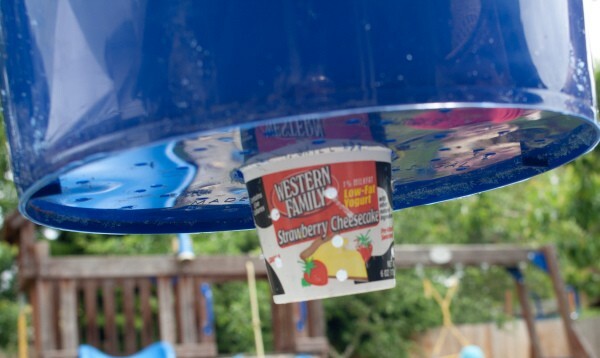 I used a second yogurt container here to cover the top of the PVC pipe to prevent excess dirt getting in the bottom, but that may not be necessary. 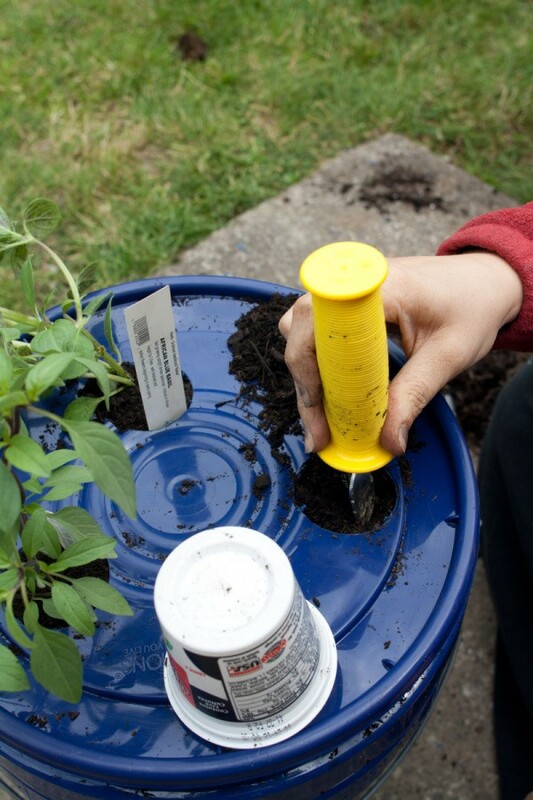 Fill the bucket with potting soil and put the lid on so the PVC pipe aligns with the correct hole. Plant the basil starts in the holes you drilled. 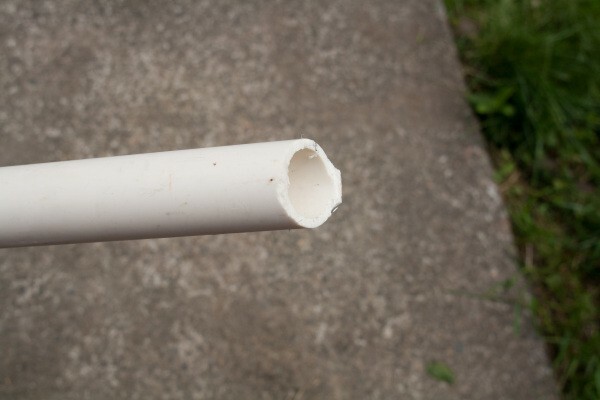 Fill the reservoir with water by pouring it down the PVC pipe until water comes out the overflow and you are done! 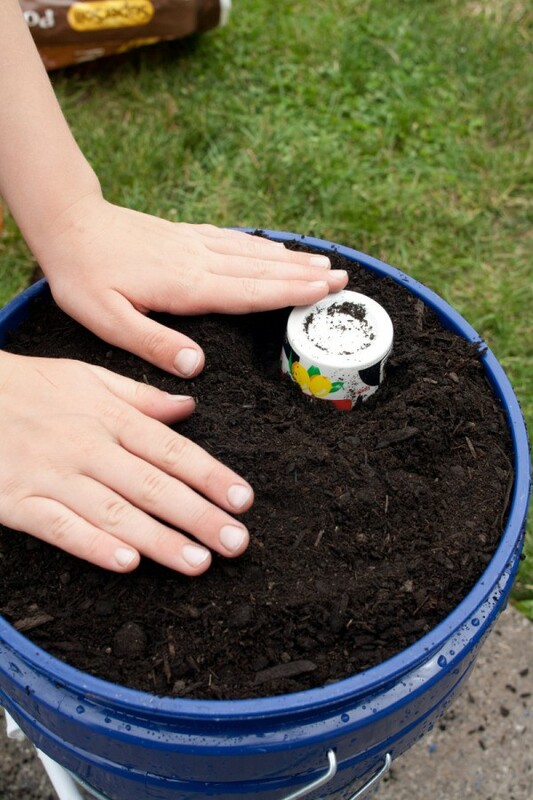 The potting soil will soak up a lot of water over the next couple days, so be sure to top it off regularly until the water is evenly distributed inside the bucket. 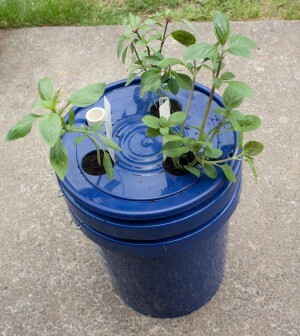 Self watering containers are a great way to grow plants with out worrying about under or over watering. Learn how to make this self watering planter with this short video.